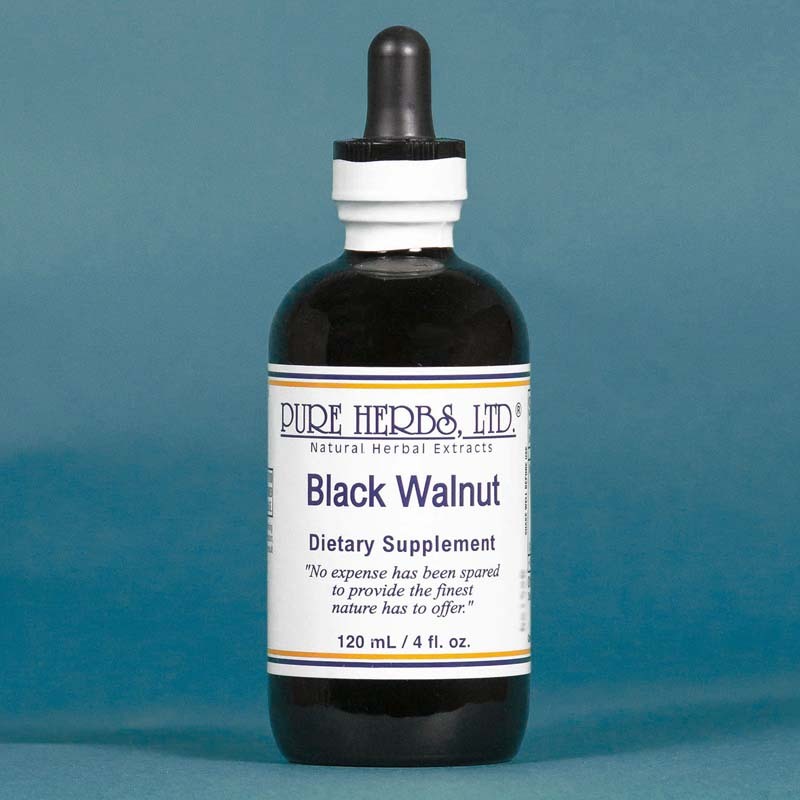 Black Walnut - Pure Herbs Black Walnut is beneficial for healthy nerve function.*. Juglans nigra, L .
BLACK WALNUT- (Hull) The nutmeat has long served as a nutrient of great value and contains the valuable element Manganese said to encourage parental behavior through proper body chemistry. Although the leaves can be used, the dried powdered hull is possessed of greater activity. Widespread incidents of various sorts of internal human parasites are now a commonplace reality. Black Walnut hulls have a great strength which disables and disintegrates parasites. In cases of general debility where parasites may masquerade as a host of baffling symptoms it should be safe to assume that a person needs cleansing. Six months to a year of daily use often shows dramatic results. Although this may seem slow, Black Walnut kills the parasites and not the person which is a distinct advantage. As iodine is contained in this valuable hull. A highly satisfactory douche can be prepared for multitudinous infections in the female area. DOSAGE: 40 drops three times per day. 80 drops to 1 cup distilled water as a douche. SOURCES: Dr. Eugene C. Watkins, "Get Well With Natural Remedies;" Dr. John R. Christopher, "School of Natural Healing.